EDITOR’S NOTE: As I read journal articles I often wish I had a better understanding of what the field sites and study species looked like. 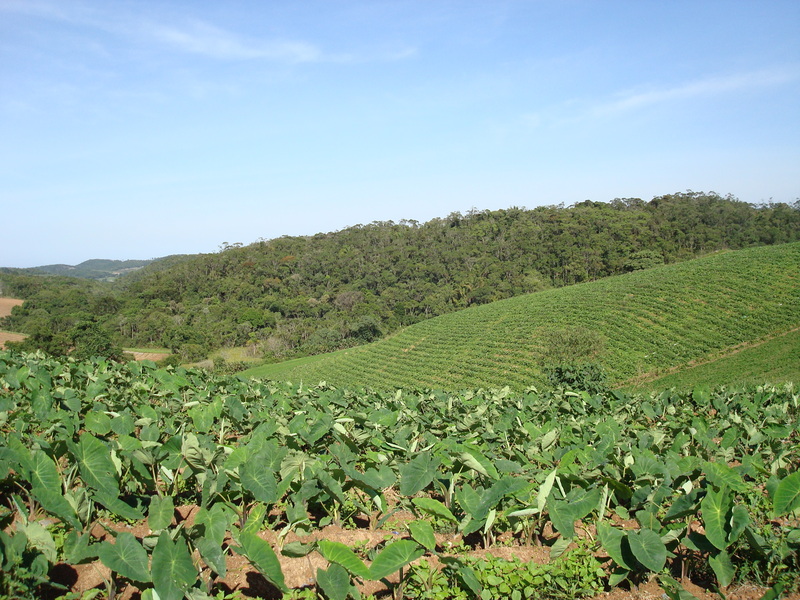 Here is the first in posts complementing the publication of recent Biotropica articles with photos from the field. We hope these provide some additional insights into the places and species that inspire our authors. 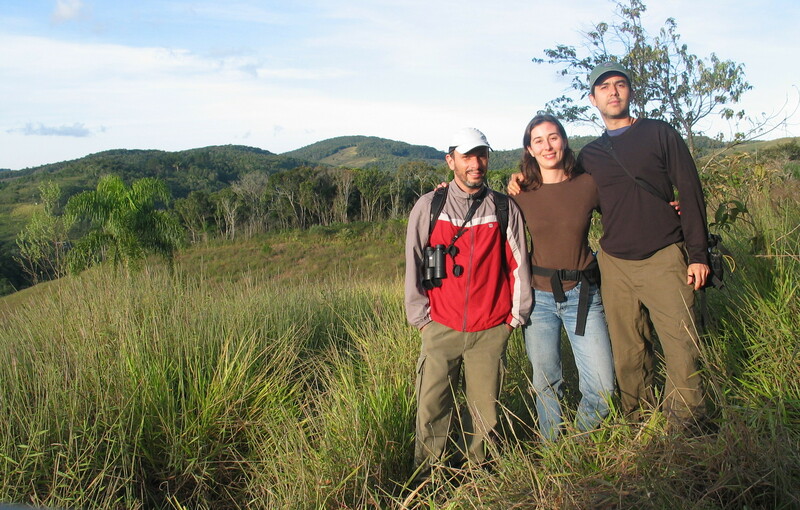 Jurinitz, C. F., E. M. Bruna, and A. 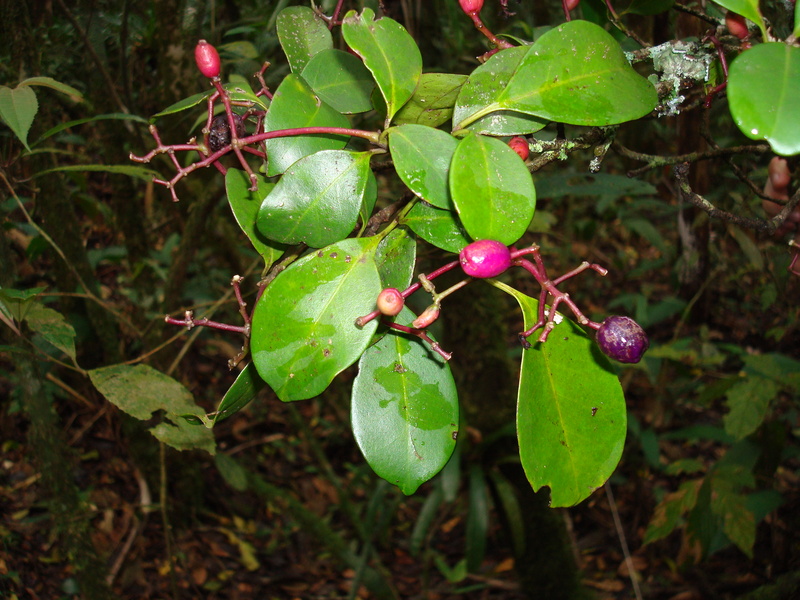 A. Oliveira. 2013. 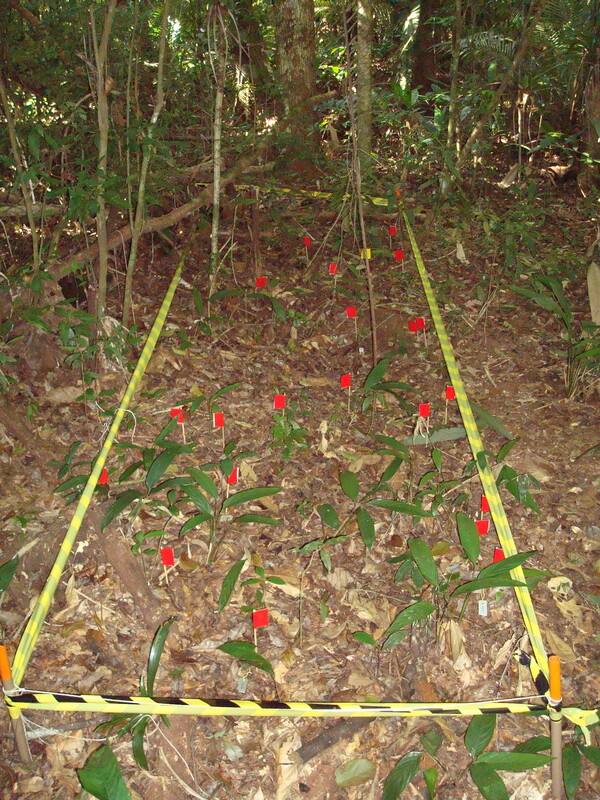 Synergistic effects of canopy openness, litter depth and ontogeny on seedling performance in forest fragments. Biotropica. 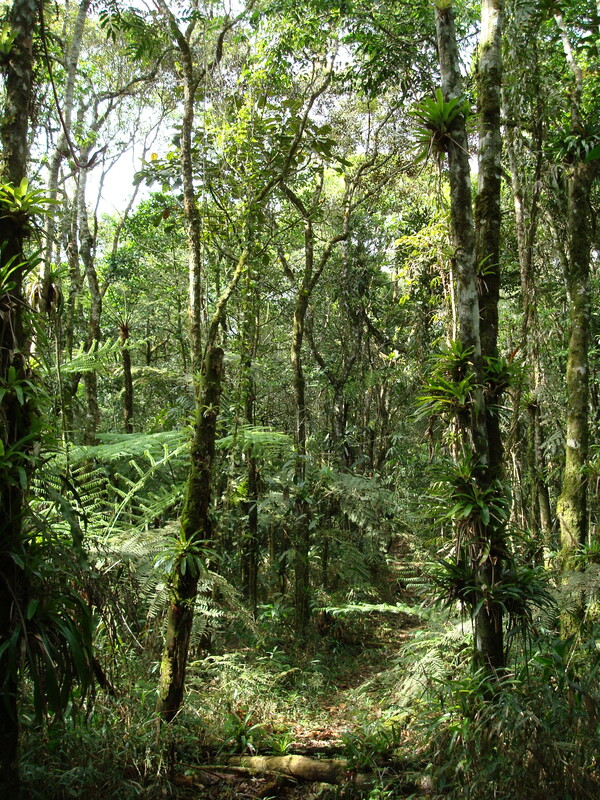 Regeneration dynamics in tropical forests are driven by many abiotic and biotic factors, including light availability, litter depth, and density-dependent interactions with enemies. Whether ontogenetic stage also can play a critical role, however, is seldom considered. 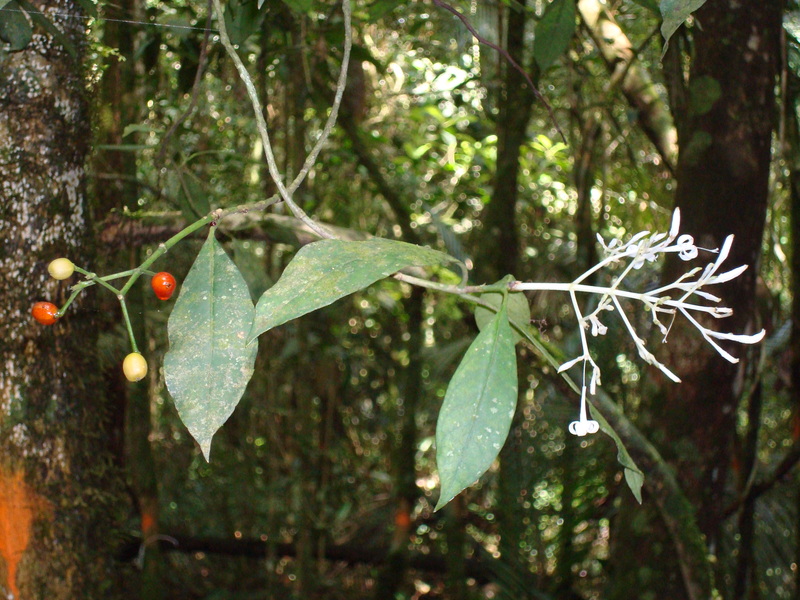 We address how early-stage survival of two shade-tolerant species is affected by canopy openness, litter depth, ontogenetic stage, and conspecific neighborhood in the understories of secondary forest fragments in the Brazilian Atlantic Forest. 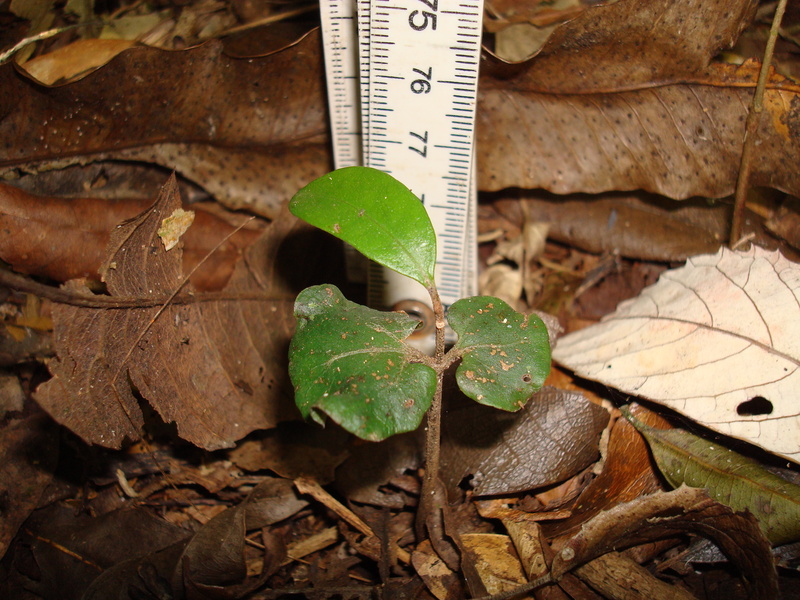 We monitored the survival of naturally occurring early-stage individuals of one canopy and one understory tree species in six forest fragments for over 2 yr. We then compared how different abiotic and biotic variables, as well as the initial height of seedlings and the length of time interval, influenced variation in survival using generalized linear mixed-effects models. 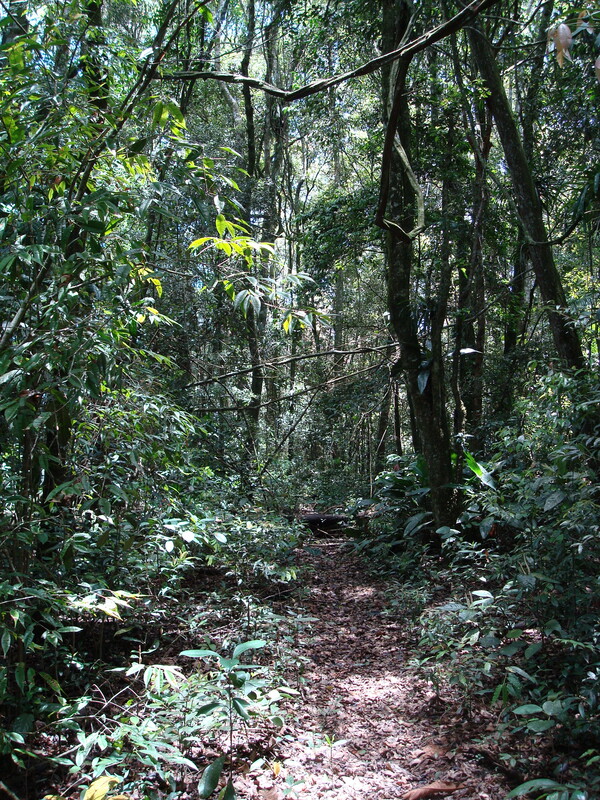 Survival of the canopy species was negatively affected by light availability, while for the understory species increasing light availability either increased (for seedlings) or decreased (for saplings) survival. 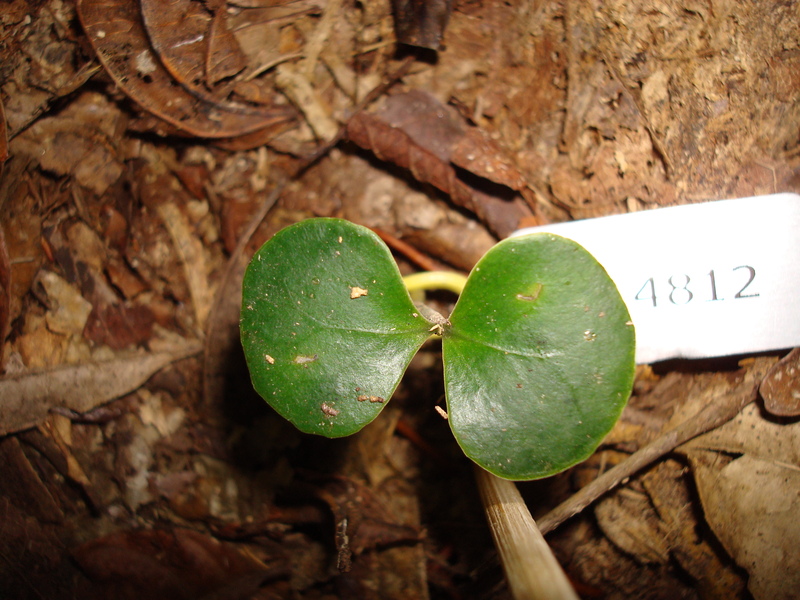 In addition, survival of both species at the seedling stage was positively related to litter depth. Finally, we found that conspecific neighbors were an important biotic factor reducing survival. Our results suggest different regeneration niches for these two tree species related to light availability. Moreover, we found that the effect of both abiotic factors depends on ontogenetic stage, a critical factor for understanding regeneration niches in the forest understory. 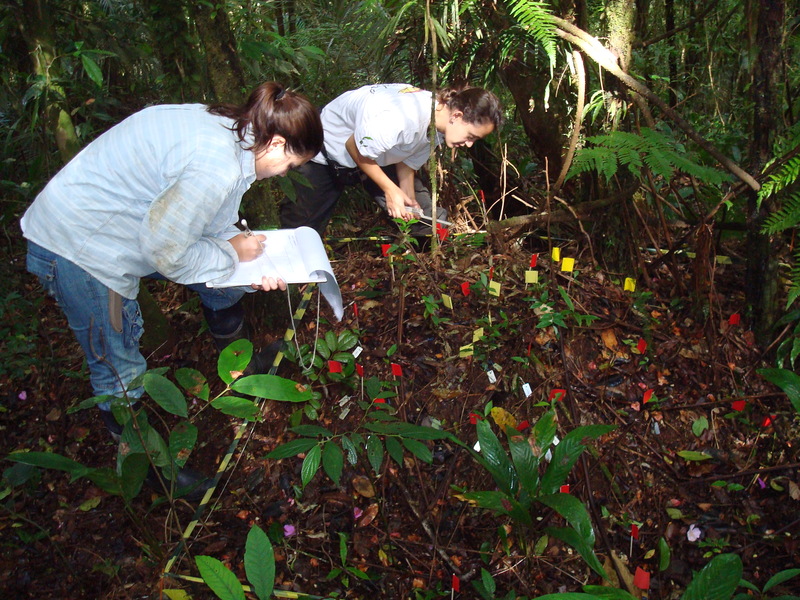 Below are some images that demonstrate just how fragmented the landscape is, the study species, and our intrepid lead author and her field assistant counting seedlings.